This One-Bedroom Townhouse Sleeps 3 Adults comfortably and has everything you will need for your Whistler vacation. Glacier's Reach is located just across the street from the North Village and Market Place, which contains a grocery store, a liquor store, a pharmacy, the post office, and many other shops and restaurants. Use the free bus service in front of Market Place to get to the lifts (it comes by every ten minutes), or just do as we do and walk through the village to the lifts which takes 10 to 15 minutes. Unit sleeps a maximum of 4 people (3 adults comfortably). Our condo is fully stocked with kitchen cook ware, laundry, linen, gas fireplace, two TV's DVD player, stereo and free Wi-Fi. Complex Amenities include Year-round Swimming Pool, Hot Tub, Sauna, and Free Secure Underground Parking. We know you will be just as at home in our townhouse as we are. 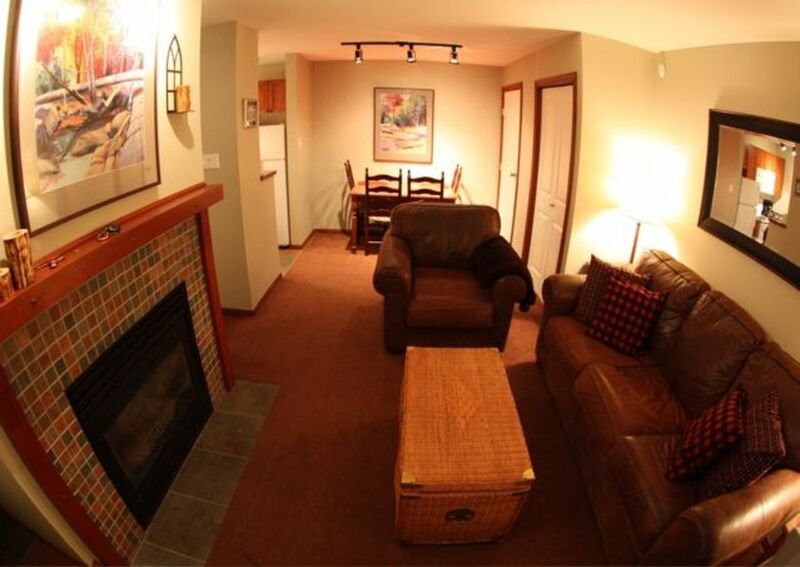 Keywords: Whistler Village North, 1 Bedroom, Great Location & Amenities!! We live in North Vancouver and all love spending time in Whistler. Whistler has the best skiing, snowboarding and mountain biking in the world and it is only an hour and a half from our house. It doesn't get much better than that! Glaciers Reach is located in the North Village and allows us to walk to everything! Basic equipment in common area.